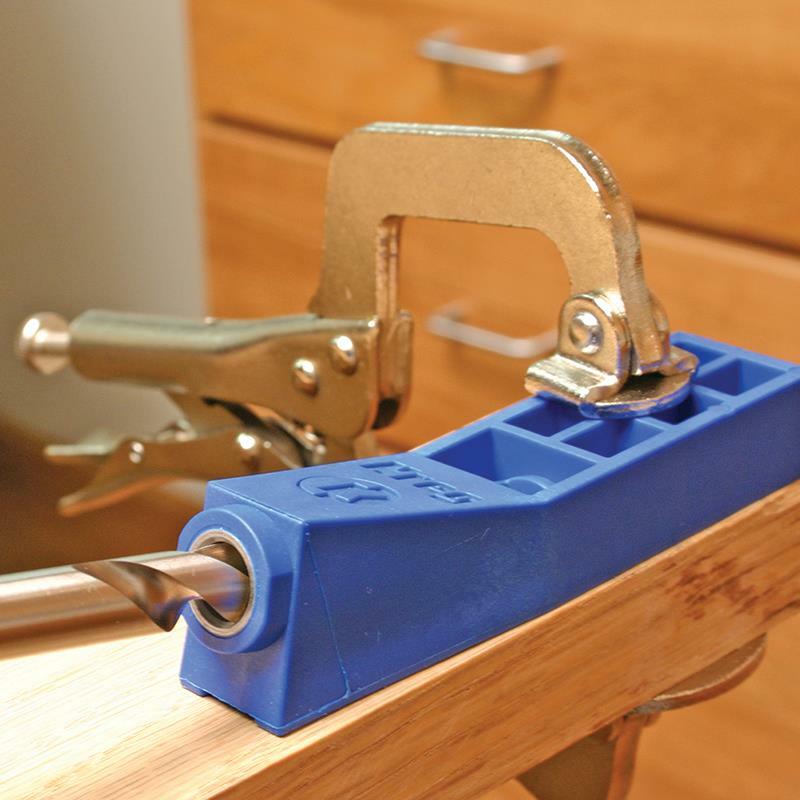 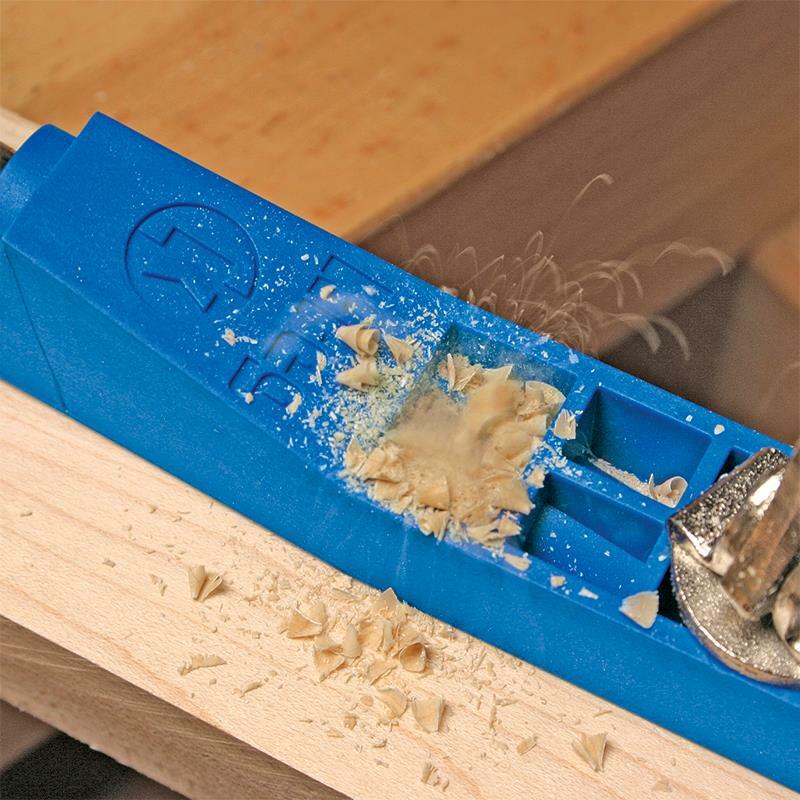 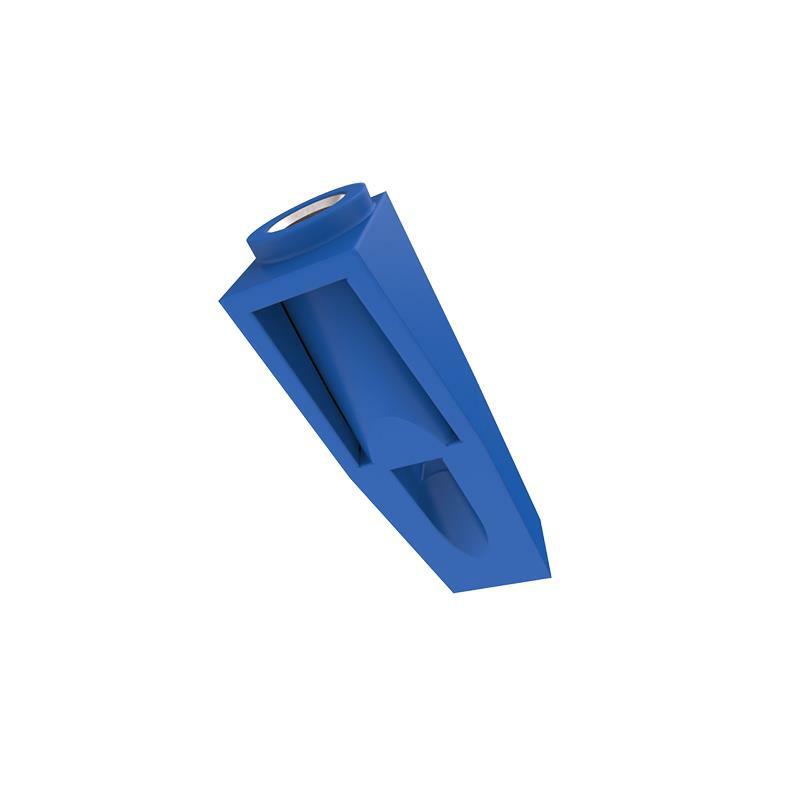 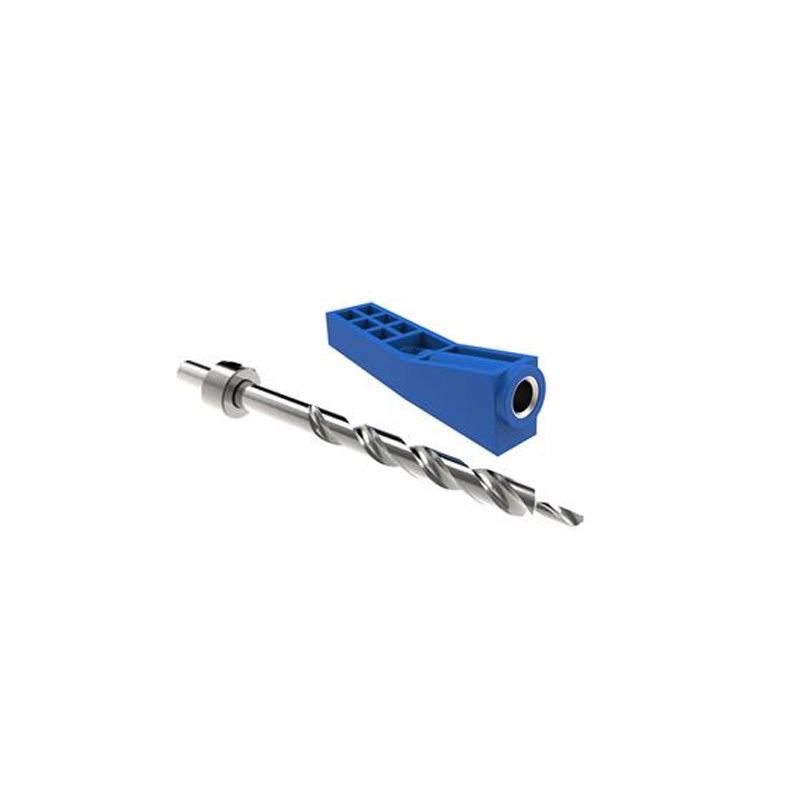 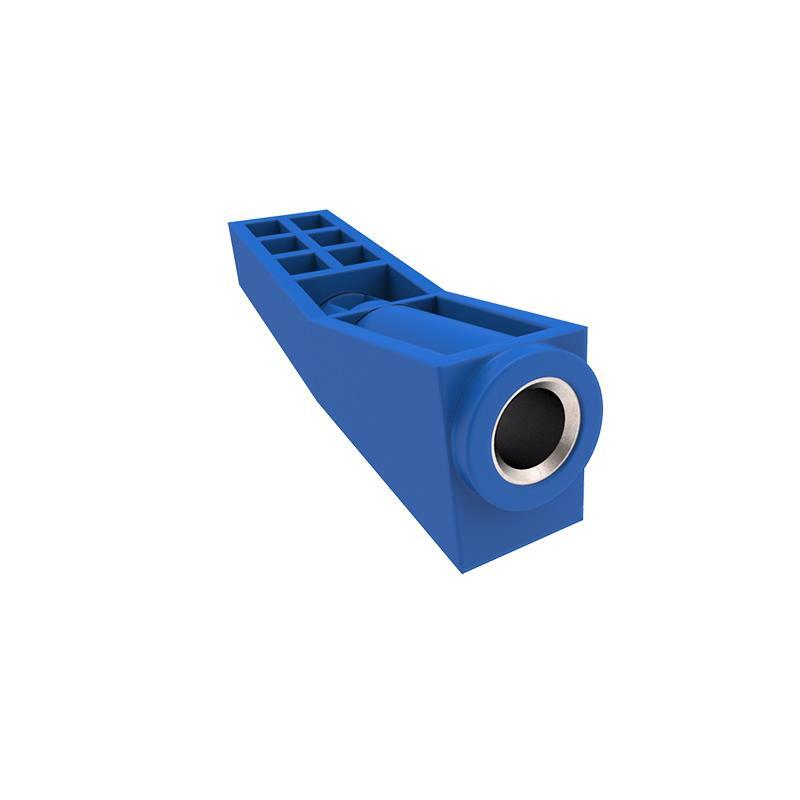 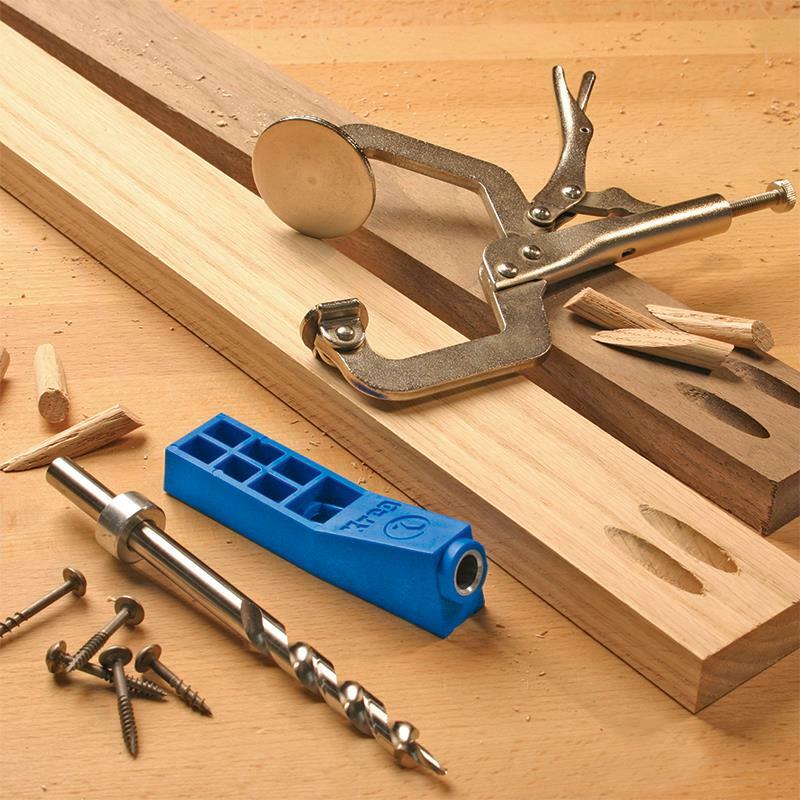 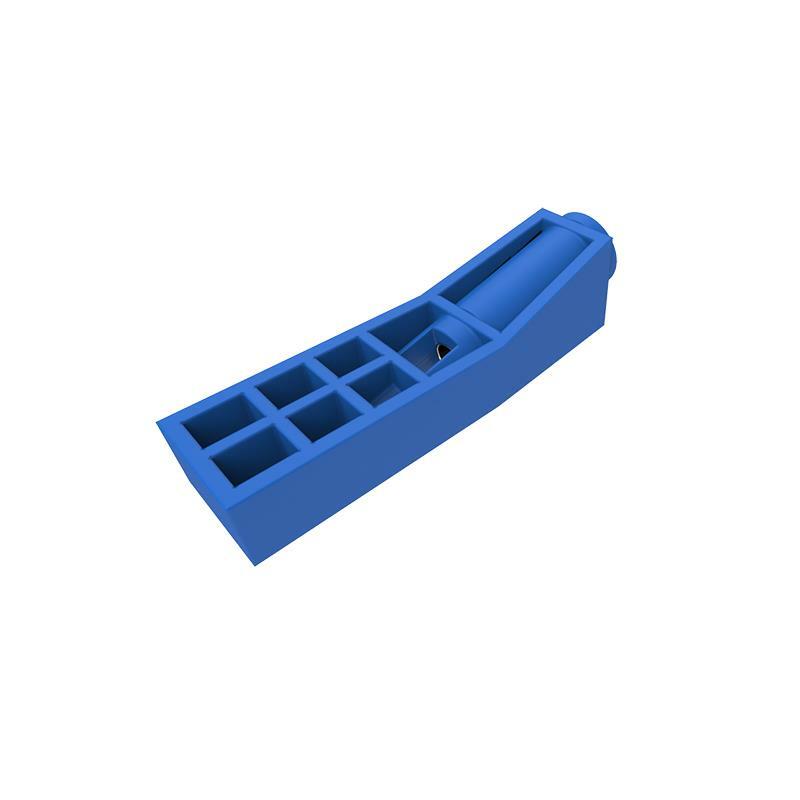 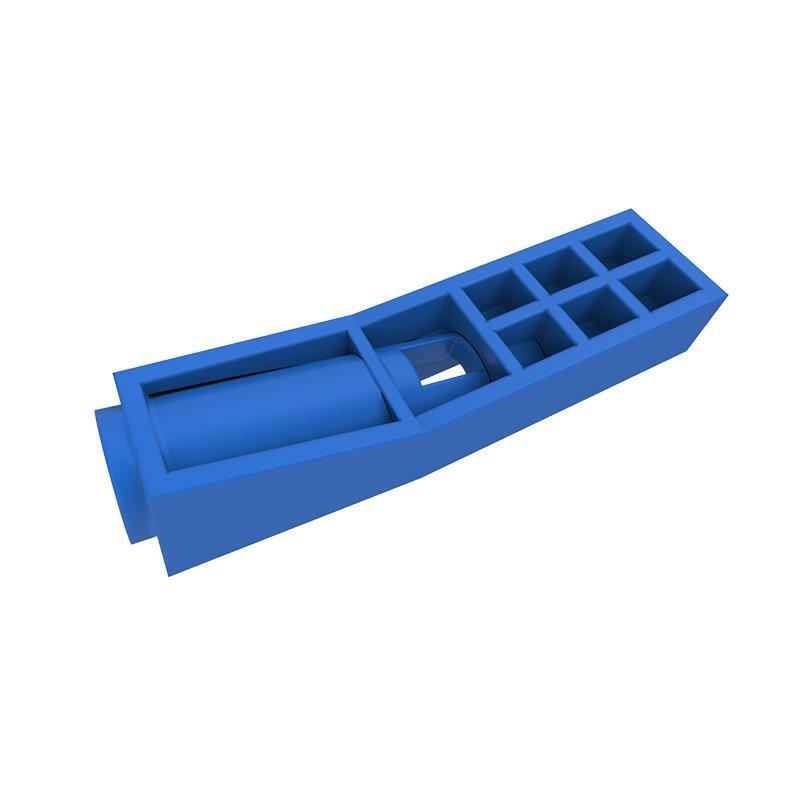 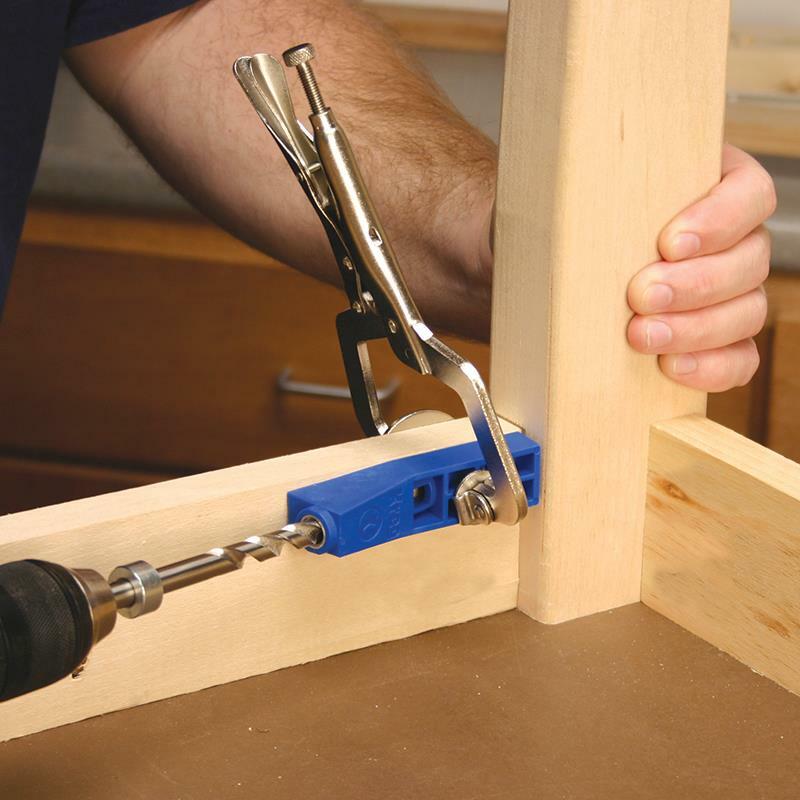 The Kreg Jig® Mini is good for very specific applications where the smallest jig possible is required. 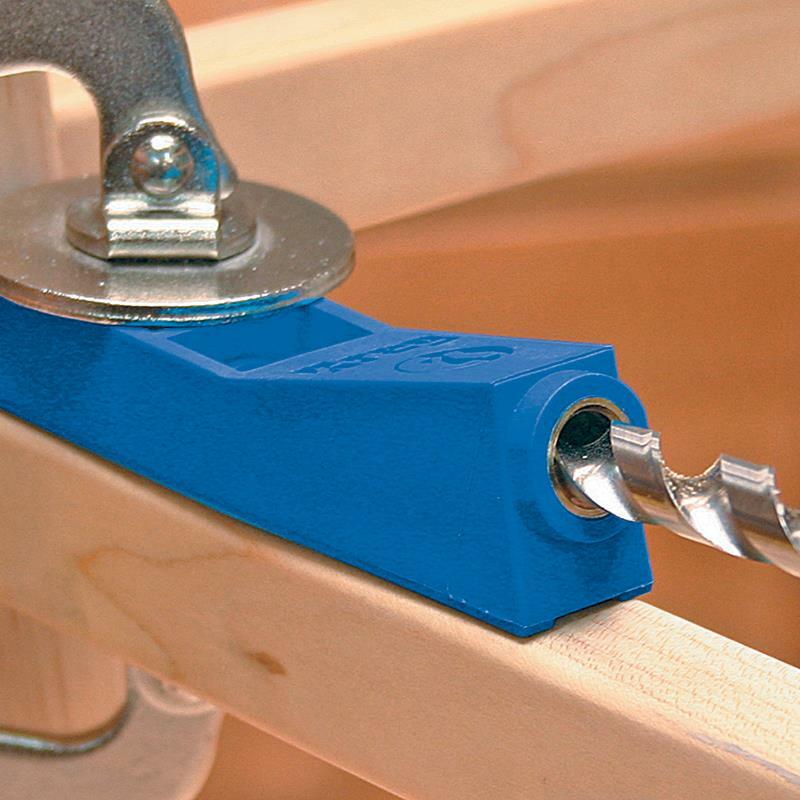 The simplistic design includes the hardened-steel drill guide of the other jigs but does not include a reference fence, so material thickness adjustments must be made manually. 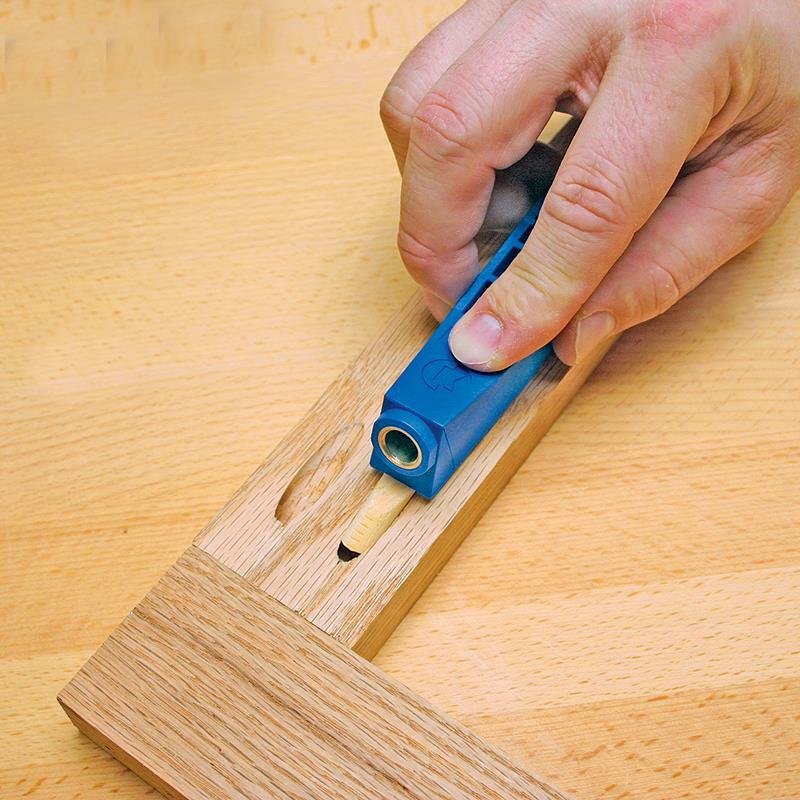 With the Kreg Jig® Mini, you don’t have to keep removing the drill bit to clean out the hole. 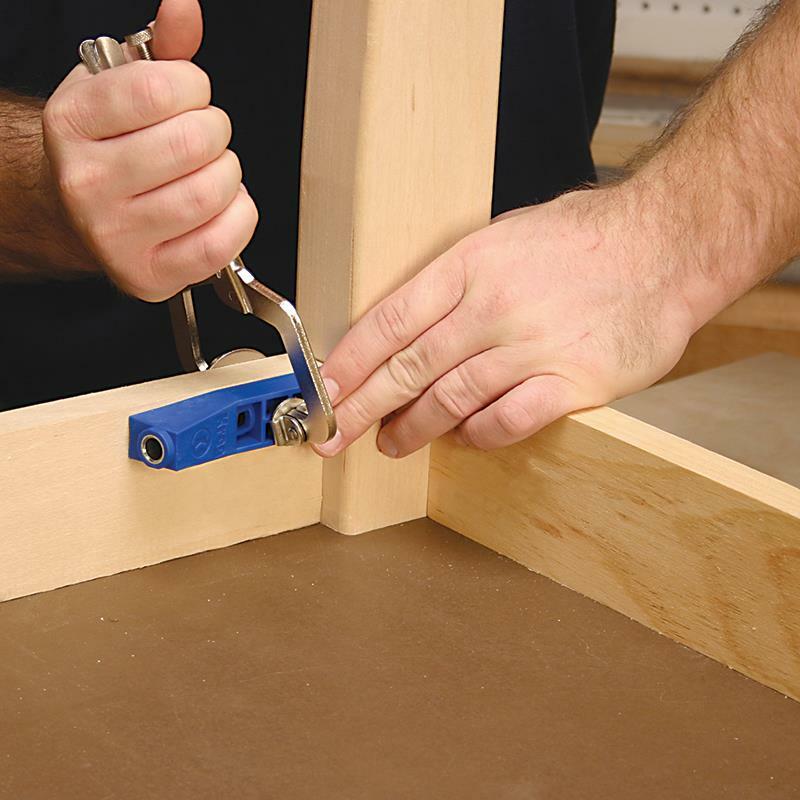 A wood-chip relief hole in the jig gives the removed material a place to go, so you can keep on drilling.